The 2018 RUBiS Around the Island Powerboat Race was held today with a fleet of 17 boats registered to race. “The race started at 2pm with the four A Class boats. 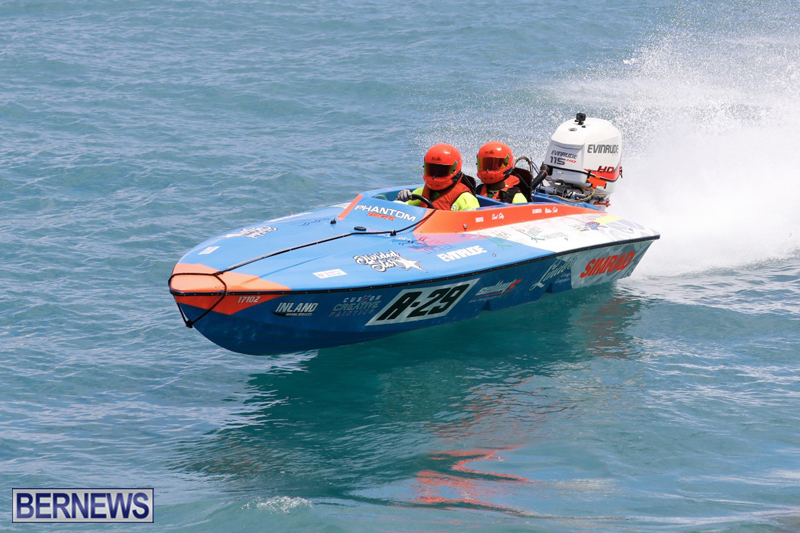 A 29 [David Selley and Matthew Smith] dominated the race with a good close following from A 26 [Shaki Easton and Shane Madeiros],” the Bermuda Powerboat Racing Association said. I hope the guy who went swimming is good. A lot of big swells out there! Well done David! Solid performance and record breaking run on a tough South Shore day! Well done David & Matthew !! Big Up Shaki same way! Shout Out to Shae and Esperenza !! Good job, Cleveland and Joshua. Sure glad that both of you finished the race unhurt! !